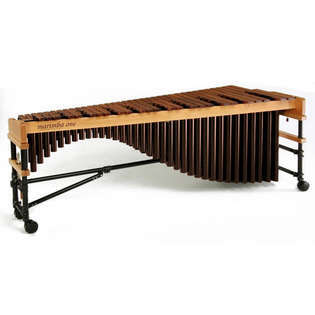 If one of our standard Marimba One marimbas doesn’t fit your needs, you can customize your own. Options include frame type, frame wood, instrument range (5 or 5 1/2 octave), resonator type, keyboard upgrades, and tuning frequency. Please click “Configure” to get started. Custom marimbas are typically available to ship in 4–6 weeks. After placing your order, we will contact you with additional details. Marimba One marimbas may only be sold within the USA.